Social media has changed the way we communicate today. In fact, at it’s root, social media is about connecting people with people. Twitter has been growing faster than any other social network and is expected to grow at a faster rate in the near future. 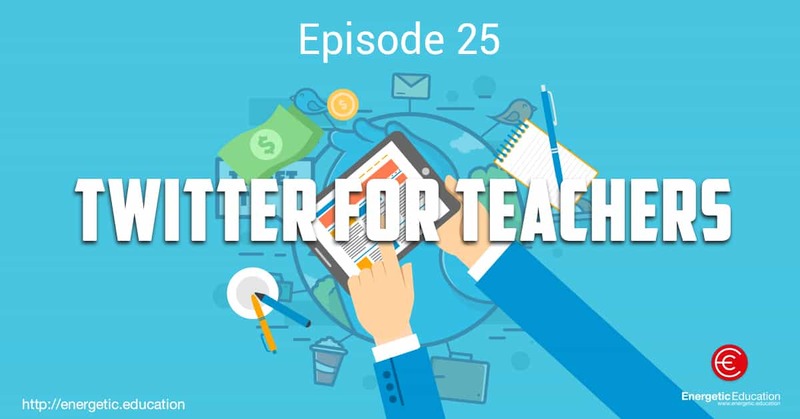 Teachers use the twitter platform as a way to connect with other like minded teachers around the globe, sharing ideas, resources and building relationships with other teachers. I would go as far as saying that Twitter is the best free professional development opportunity available to teachers. All that said, I am going to explain why I feel this and give you some tips on how to get started on your Twitter journey in this episode of The Energetic Education podcast.